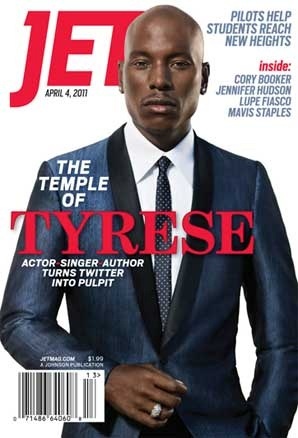 Celebritiessss ;) check it out..
Magazine Covers: Tyrese covers JET and 50cent covers VIBE. 50cent who has been taking the twitter world by storm with his tweets, managed to take time out of his busy life to pose with this screw face for VIBE magazine (international issue). 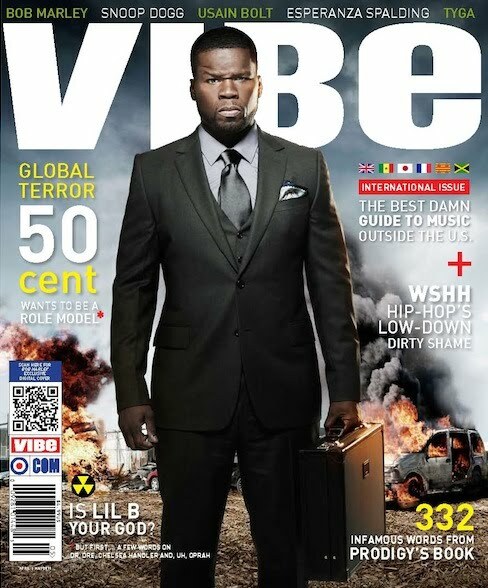 He looks goood and as for Tyrese, yeah yeah. 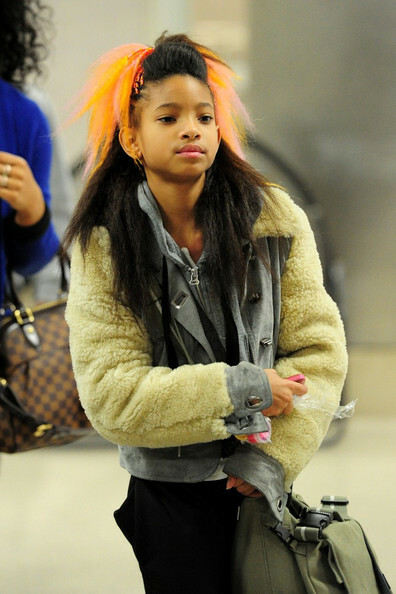 Willow Smith: arriving at LAX airport after touring europe with pop phenomenom Justin Bieber, Justin Bieber is still touring though. Willow Smith said that she had fun, jolly! Child, go to school, you're only 10. Remember that, don't grow up too fast. 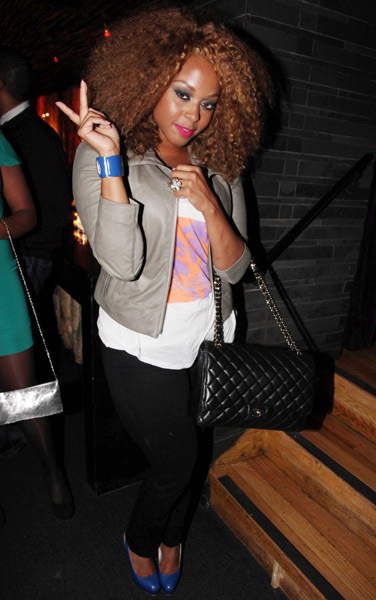 Chrisette Michele: you must be thinking "hmm, that name rings a bell!" because it does, she was the female featured on Rick Ross' song "Aston Martin Music" (ft Drake) yeaaaaaaaah it was her.. Um! who is her hair stylist please? Because they should know that this wig/weave/lace front is just not working for her at all.. like where you going. The nappy head/natural hair look suited you *shrugs*. Anyways stepped out on the streets of NYC and that's it. Umm, Both Willow Smith & Chrisette Michele have ugly hairstyles, both their hair stylists need to get FIRED!!!! Cos this is just an absolute abomination. Kelly Rowland: *sighs* gurl, where is your long anticipated album? Maaaaan. I'm getting tired of waiting, but she says it's coming and I believe her (#teamkellyrowland - if there's even such team lol). 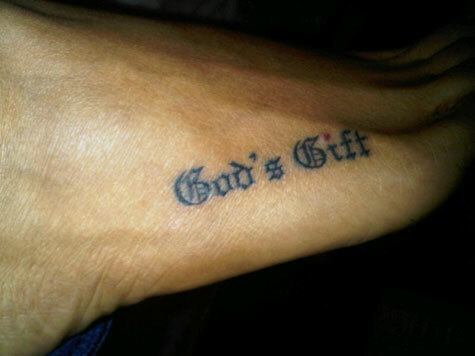 Anyways she recently got a tattoo on her foot, alongside one of her best friends, the tattoo reads God's Gift. Ms Rowland has been getting awfully comfortable with the whole tattooing system, just don't get too comfortable, cos I'm still waiting on your album -____-. 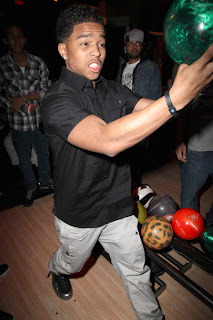 Diggy Simmons: celebrated his sweet 16 with his sister Angela (Pastry sneakers), Justin Dior Combs (1st child of Diddy) and Gail Scott (Singer). 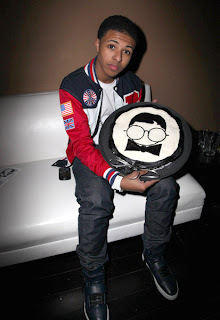 HAPPY BIRTHDAY DIGGY!!!! I cannot wait for this guys album to drop, his lyrics and flow, hmmmm! WATCH OUT WORLD, and don't say I never told you so. Ya' dig!!!! !